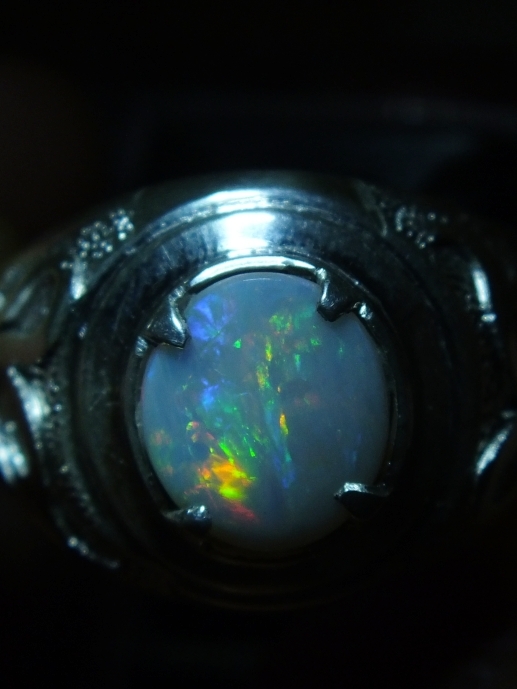 Opal has one most beautiful optical phenomena called "Opalescence", please check at the video to see it. 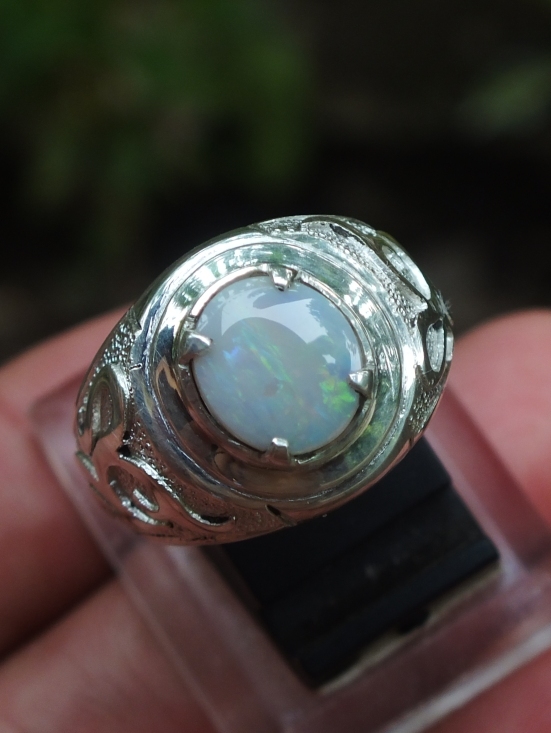 This is a beautiful Natural White Opal. 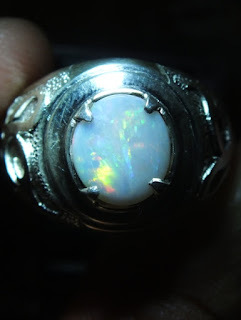 the Dimension is quite small (est) 9,5mm x 8,2mm x 2mm. 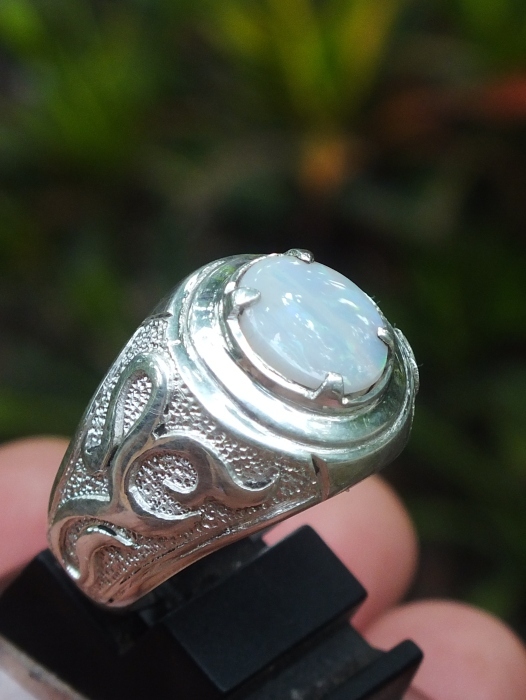 It is set on a special Handmade 19mm Silver Ring. 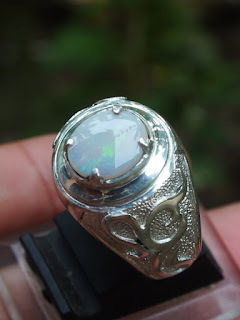 Very beautiful Natural White Opal!